Depends. But no point in thinking about it now I guess. Good game from BI. Played solid D on Butler when matched up and had some good drives and passes. Still taking too many long 2s though. Pretty sure Front-offices in Sports never listen to fans when they evaluate trade options. You mean if and/or when he’s traded in a package for AD? I’m sure this team will survive in that case. I just need to know why you placed a hyphen between the words "Front" and "offices". He hit 3 of the purest shots I've ever seen from him a Lakers uniform tonight. Sorry if it bothered you, thought it would look unique. Twice now he’s shown the George Gervin move, last year it was against SA and today it was against Minny. I'm done with hoping BI breaks out. I just don't see it. I'd settle for a BI for Beal trade at this point. I just want to point out that he started looking like a good NBA player immediately after I posted this. 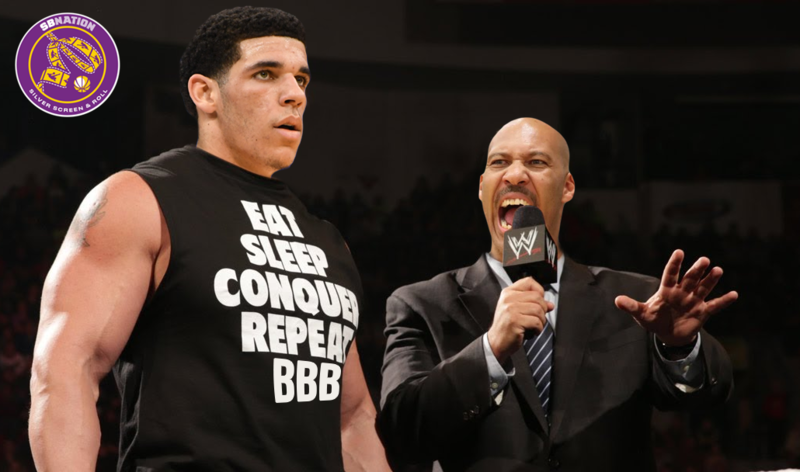 I really am done hoping Zo ever learns how to score. I just don’t see it. I’d settle for a Zo for Kemba trade at this point. The Hornets are on a six game losing streak where AD had 4 subpar games and missed 3. I think the Pelicans end up better and they can use the salary cap and draft to sign quality bigs. Fantastic second half from him. Easily his best passing game of the season. More please. Yeah my bad... was looking at old lineups. But the fact still remains... AD is very injury prone... and it would take something like Ball/Ingram/Hart/Zu to get AD. 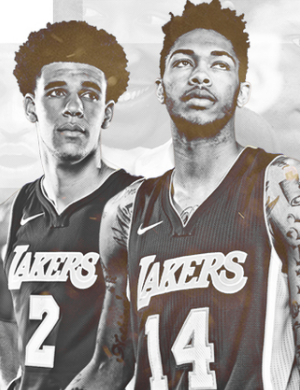 They wouldn't do it for Ball/Ingram alone... and they'd have to throw in a center. Bottom line I think the Pelicans win the trade because if LBJ gets old or AD gets hurt... we are back to the Dwight/Nash days. Loved this game from Ingram. His best game of the season. We need him to be like this 2 out of 3 games to be good this season. His impact at the end was huge. Hard to expect that. He is just too young to have that kind of performance. People are forgetting how young he is and expecting too much. Missed the game, but his passing. And his offensive game appears to be a function of how confident and aggressive he is from night to night. He looked really involved, unlike the last few games. Good on the coaching staff for trying to accommodate him next to Lebron. Not an easy task. Some really impressive things. Sometimes he looks like a young T-Mac out there.